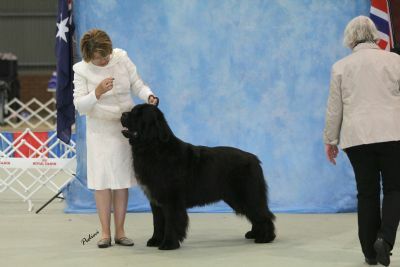 Trek's first weekend of showing provided 2 baby puppy of breed wins out of 3 shows. 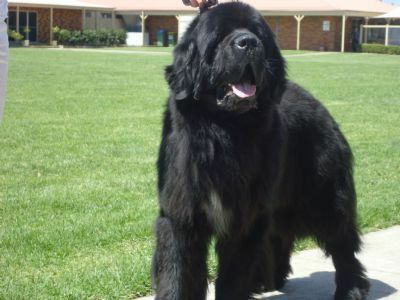 Young male with excellent bone and a good strong head. Trek has lots of promise. Trek has received many in group placings since then, including Best Intermedaite in Group at the 2011 ADI shows, against a strong class. 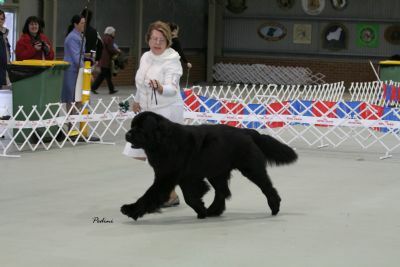 Trek has won Best of Breed over older dogs and sucessfully gained his tittle at the young age of 15 months.